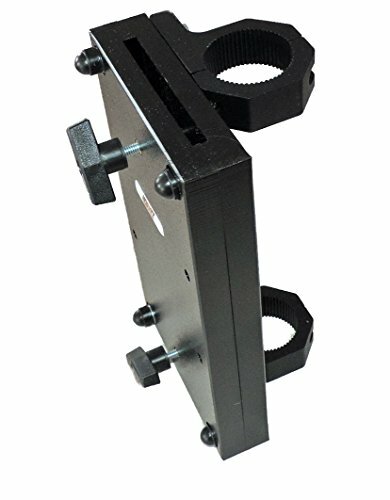 If you're looking for a chainsaw mount that is SOLID and still simple to install, this is it! Perfect for Utility vehicles as well as Sport vehicles such as the RZR, Polaris Ranger, General, Yamaha YXZ, Can Am, Kawasaki, John Deere, Kubota, Arctic Cat, Honda and virtually any off road vehicle with round roll bars. Can also be attached to your bumper! The chainsaw sheath is machined from solid HDPE and integrated in to machined solid Aluminum bases. RCM-3012 offers the best in support and security for your chainsaw when you want the flexibility to mount it on either a Horizontal or Vertical round roll bar or bumper. Fit round pipe/tube 1.5" to 2.0" diameter round tube/pipe. The machined aluminum bases (2) SECURELY hole the chainsaw carrier in place. Each base comes in two halves, fastened together with Allen Head (allen wrench included) stainless screws.